Universal Audio makes a stunning array of popular high-end compressors and channel strips. 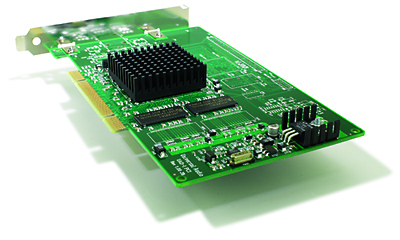 In 2001, they introduced the UAD-1 platform, a PCI-based Digital Signal Processing (DSP) card that runs plug-ins on dedicated hardware to offload processor-intensive work from the host computer’s CPU. This was one of the first products of its kind, addressing the issue of limited CPU power for many resource-hogging effects. It won rave reviews for its emulations of vintage compressors and EQ’s, and has been a steady force on the external DSP processing market for over 5 years. While it has been around for a while now in comparative terms (five years in plug-in technology is a long time!) the UAD-1 continues to stand up as a true powerhouse in usability and pure musicality. Universal Audio has continued to develop new plug-ins for the platform, including more emulations of vintage effects, as well as adding their own line of utility plug-ins. They’ve also released a series of packages bundling certain sets of plug-ins for different budget levels. We had a chance to check out the Ultra Pak, which is the flagship set containing almost all of the available plug-ins. Overall, the UAD-1 Ultra Pak is a dream come true for studios of any size looking for some truly distinctive EQ’s and compressors as well as reverbs to bring mixing sessions to the proverbial “next level.” The overall sound and response of the Pultec and the LA2A and 1176LN alone are worth the cost of admission, but the rest of the bundled plug-ins really give this collection powerhouse status. The UAD-1 shined as a mastering and mixing tool, but latency issues minimized its effectiveness for use with live tracking. In our trials with multiple buffer settings and different plug-in configurations, we could minimize latency considerably, but there was still enough of a lag for it to be noticeable (and problematic during tracking with guitars and vocals). With most recording hosts, plug-in delay compensation works seamlessly on program material, but live input monitoring still faces trouble, and re-configuration can only get you so far. The Universal Audio UAD-1 comes in several boxed configurations, all with the option to purchase licenses to additional plug-ins via the Universal Audio website. Each pack is based on the same PCI card with the plug-in count being the only varying factor. A new PCI Express card is also available. There are also several plug-ins available for two-week trials and purchase, most notably the Precision Multiband Compressor, Roland Space Echo RE-201, Roland Dimension D, Boss CE-1 Chorus Ensemble, and Neve 1073. For the more budget conscious, the Project Pak and the Flexi Pak offer smaller bundles. But overall, the Ultra Pak comes packed with everything you could need to revolutionize the sound of your mixing and mastering work. We installed the UAD-1 in a Power Mac G5 Dual Processor 2.0 GHz running Apple Computer’s Logic Pro 7.2. We tested the Audio Unit versions of the plug-ins, but you also can install a VST version. For RTAS compatibility, you must use the FXPansion VST to RTAS adapter. Installation was simple and authorization went smoothly. The UAD-1 plug-ins appeared alongside other installed Audio Unit plug-ins in our host. They function like any other plug-in but are processed by the UAD-1 card instead of your host computer’s CPU. As a result, you have to monitor DSP usage via the included UAD-1 Meter application. We were able to keep the utility open on top of all other windows to provide constant monitoring of available resources. In use, latency for mixing and mastering was not an issue since our host (Logic) provided delay compensation. The only usability issue dealt with live tracking latency: on top of any latency introduced by your recording interface, there is an additional buffer going out and back in from the UAD-1 card over the PCI bus. Latency was also affected by the number of plug-ins we were using in our session. The latency for each plug-in is equal to twice the current buffer size of the host system, so if you’ve reduced your buffer down to 256ms, each UAD-1 plug-in you introduce will add 512ms of latency. If you are running additional CPU-intensive plug-ins in your session, you will see much higher numbers that may severely impact real-time monitoring while tracking. We would expect lower latency numbers using the PCI Express version of the UAD-1 due to improvements in that bus architecture but did not have an opportunity to test the PCIe card. For mixing and mastering, the UAD-1 card had plenty of power. We were able to set up individual buses for Drums, Bass, Guitar, Vocals and Keys with their own channel strips via the CS-1 plug-in, and individual instances of the LA2A and Pultec, and still had enough power to add a Precision Mastering Series EQ and Limiter to the main output to mix down our productions. 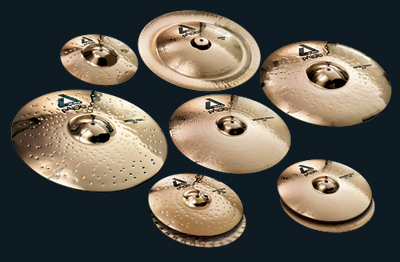 So what does the UAD-1 sound like? A studio filled with vintage rack gear! Well, to be honest, we didn’t have said studio handy to do point-to-point comparisons on every plug-in, so instead we took this opportunity to put the UAD-1 through its paces in mastering a two-CD set of remixes and studio outtakes for a recent recording project with our industrial/electronic band, The Wretch. Mixing and mastering are black arts – there’s no one way to do everything right, and quantifying results is never easy since everyone involved in a recording project will weigh in with dramatically different opinions. So with the idea that the best mix and mastering session is one that produces solid sounding material over the course of an entire program with good frequency balance and matched volume levels between tracks, we set to work. With material coming from different sources and different engineers, you’ll face a potential army of issues in getting tracks settled into a good program mix. Some material may lack low end and be mid heavy. Other songs may be poorly mixed with elements coming too forward in the mix in context to the song. We tackled these kinds of mixing and mastering issues with the UAD-1 and achieved great results. We tried a couple of different configurations: On one track that was close to final with very few issues, we worked with the Pultec Pro as a master two-channel program EQ followed by the 1176LN Limiting Amplifier. 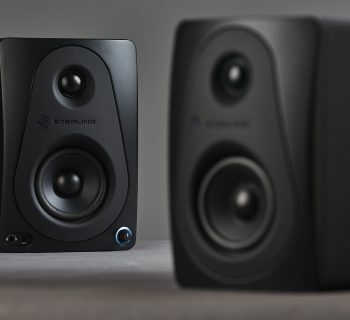 Using the Pultec’s Low-Frequency controls, we added just a hair of a boost around 30hz to warm up and increase the sub-bass, then cut some 3k frequencies at the high end. Adding the Precision Mastering Series limiter as a final brick wall limiting device brought the material to the fore, keeping everything punchy, but never clipping our meters. Metering with the PM Limiter was a joy – large and clearly readable meters kept us in the know at all times, and because it is such a transparent sounding effect, it let the inherent coloring of the 1176 and Pultec shine through (which we wanted). On another track, we used only the Precision Mastering Series EQ, the trial copy of the Precision Multiband Series Compressor/Gate/Expander, and Limiter in series. All of these are from the Precision Mastering Suite and are intended for Mastering work on full program material. The track was solid as is, but was provided at -6db with a lot of dynamics, so we boosted overall levels using the multiband compressor, and dialed up the EQ a bit at 900hz to bring out some definition in the guitar tracks while cutting a bit at 2k to reduce the brittleness of the vocals and smooth out the overall tone. These were subtle changes, and the Precision EQ was a treat to use. Its very smooth and accurate response tamed what we needed to tame without dramatically altering the overall mix. Also worth mentioning were the very usable and thought-out presets in these plug-ins that covered a lot of ground. You can select a preset close to what you’re looking for and adjust from there, which enables a quick workflow and easy results that sound fantastic! There is magic in the Pultec – it seems like just adding it to your track makes whatever you feed it feel BIG. 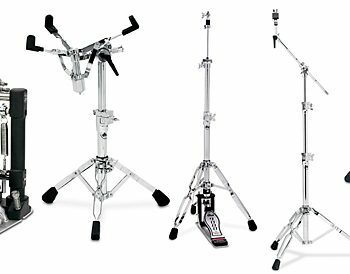 On drums and bass, boosting the low end added a deep clarity and roundness that we swore was coming from a rack unit. Using it to attenuate highs also left us with a very smooth result, helping to bring some clarity to guitar and vocal tracks. It was really something else – we just loved this plug-in! The Cambridge Five-Band EQ is a workhorse with tons of features. It’s engineered to operate like a “high-end console EQ” and it worked well on any kind of material we threw at it. The Precision Mastering Series EQ was a very transparent and smooth EQ, developed for mastering applications, and it worked like a charm! The UAD-1 has a host of vintage compressors that all blew us away. The 1176LN and SE were both amazing for program material. We tested them heavily on very dense remix work and found the response to be truly musical and clear. The LA2A was another beast entirely: inserting it into our drum buss on a mix took a relatively flat and “ok” drum mix to a dynamic and menacing breathing monster in less than two knob tweaks. Paired with the Pultec, we were pushing woofers to their absolute limit with pure, punchy, monstrous kicks and well-defined dynamics. Of course, you can use the LA2A on other material, but we really had a lot of fun with this plug-in on drum mixes. Try it! 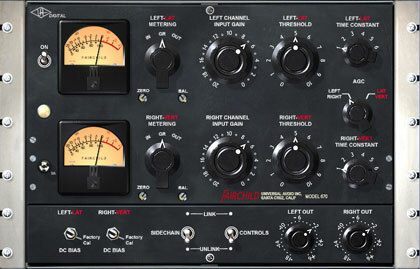 The Fairchild Compressor is the holy grail of stereo bus mastering compressors, fetching ridiculous sums of money used, and now you can run it anytime you want! It is an extremely colorful compressor, and it can add some serious vibe to your mixes. It takes no prisoners and sports classic looks. From the Plate 140 plate reverb (modeled after the EMT 140) to their own proprietary Dreamverb and Realverb, you have numerous options for reverb. With a host of options in the DAW world, and the introduction of Convolution reverbs from several different companies – Universal Audio has gone for custom-coded reverb algorithms to allow for much more flexible use than static impulse responses. In use, the Plate 140 was beautiful, with a rich complex sound that responded very well to different material. We tried it on guitar tracks as well as using it on an effects return with program material, and it stood out among the three included reverbs as having the most character – a very rich sound with a lot of tweakability. The traditional (non-convolution) Dreamverb and Realverb offered tons of functionality and control. They are definitely the mad scientist tweaker kinds of reverb and could warrant an entire review of their own! Overall, the breadth of control and shaping we could achieve with them was immense. You’re sure to hone in to a sound you’ve been looking for between the two of them! There are several other plug-ins available for purchase from the Universal Audio web page that are worth noting! We took advantage of the two-week trial period to make use of the Roland RE-201 plug-in. With an actual RE-501 in our studio to do some comparisons with, we found the RE-201 to be a creditable emulation, and it will definitely be a great tool for anyone looking to create that classic Roland tape echo sound. While the overall tone of the plug-in and the hardware unit were not 100% identical, partly due to the natural “aging” and slow wear on tape loops, the emulation certainly holds its own as a valuable studio tool. The one significant benefit of the plug-in version of the RE-201 though is automation! For dub-style tape delay effects, constantly adjusting the Intensity knob to create oscillating feedback is a great trick, but with hardware, you have to track it live. With the plug-in, you can record automation or draw it visually into your host for much simpler future editing. The Nigel guitar effects processor sounded good, but due to latency issues during live monitoring, it was hard for us to make real use of it. For re-amping it would be useful, but as a live tracking tool, we weren’t able to take advantage of it. Universal Audio has been supporting the UAD-1 platform for several years now, with constant upgrades to the software and a large amount of documentation available on their site for each plug-in. We didn’t need to contact them with any issues. We would have preferred a printed manual, but the electronic PDF documentation was both well laid out and well written. 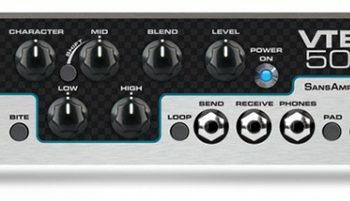 UAD-1 Ultra Pak ($1,495.00 MSRP) retails for $1,199.00. UAD-1 Studio Pak ($1,199.00 MSRP), with a smaller bundle of plug-ins, retails for $899.99. UAD-1 Project Pak ($499.00 MSRP), with a smaller selection of plug-ins including the CS-1 channel strip, Nigel, Realverb, the Pultec and the 1176 SE, sells for $399.99. This is the ultimate “gateway drug” with its humble price hooking you, and then you’ll quickly want to add more plug-ins. The UAD-1 Flexi Pack retails for $699.99 and includes a $500 dollar voucher for use in the Universal Audio online store for purchasing additional plug-ins. The best value is definitely the Ultra Pak, which includes the bulk of the available plug-ins right out of the box, and it covers a ton of bases! While we were unhappy with live monitoring/latency with the UAD-1, it’s important to note that we really find this product excels as a mixing and mastering tool. The Ultra Pak provides you with an army of tools to really take your material to new levels, and it adds tons of vintage gear personality in just the right doses when needed to help dial in some truly ear-tingling results. Overall, the sound quality of the plug-ins included within the UAD-1 Ultra Pak really shine as a noticeable cut above most native plug-ins. The toolkit included with this package will help you to focus on the little aspects of finalizing a project that so many people push aside. Given today’s growing trend of self-production and self-mixing, having some purpose-built tools are well worth the investment! Even with Universal Audio’s smaller packages, having a compressor like the LA2A and an EQ like the Pultec will really help to add some great oomph to many different applications. Vocals are notoriously fickle beasts to tame without a significant investment in a vocal booth of some sort, or a mic and outboard gear, or both – but with a good compressor and EQ at your hand, you can turn a non-ideally recorded vocal take into a solid sounding performance with some care.